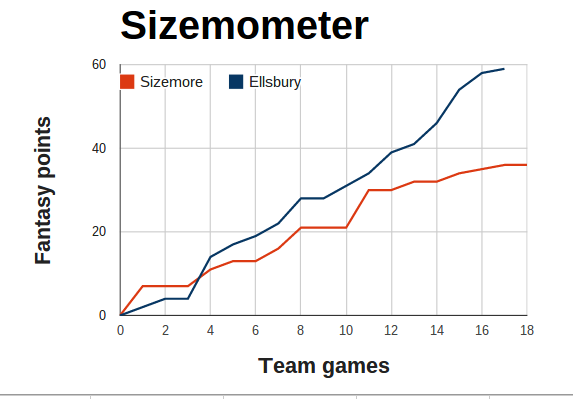 Grady Sizemore has fallen a ways behind Jacoby Ellsbury in terms of fantasy production (read the explanation of the Sizemometer), but it shouldn't really come as a surprise considering Ellsbury is leading the AL in hitting at .365. Sizemore's batting average has dipped down to .245, but that doesn't sound so bad when you consider the Red Sox as a team are hitting just .236. Boston is averaging only 3.3 runs over its past 10 games, and hasn't scored more than four in a nine-inning contest since April 8. It's time for patience, however. Sizemore and the rest of the Sox offense should start hitting again soon, and Ellsbury could well sprain something tomorrow and miss the next six weeks. By dropping their final two games of the season, the Celtics managed to pull into a tie with Utah for the 4th worst record in the league at 25-57. Unfortunately the C's lost the tie-breaking "coin flip" with the Jazz today, leaving Boston 5th in the draft order. The lottery only actually decides the first three picks; so while Utah and the Celtics have basically the same odds of choosing in the top three, if neither moves up to one of those positions the Jazz will select ahead of Boston. Boston has a 10.3% chance of picking #1 overall, and 33.4% in the top three. But the spot with the single greatest probability is #6, at 34.2%. Remember that craze of youtube videos under the theme "Sh*t (type of people) say"? This is like the "bartenders" one, but better. As impressed as I am by the ad, I still don't see myself buying much Smirnoff; one because I'm not a vodka guy, and two because commercials just don't work. Also it's kind of weird I've written about vodka twice this week, huh? Baseball managers should be more adventurous with their 9th inning pinch-hitting; who cares if they have no defense afterwards? Back on Sunday the Red Sox lost to the Yankees, 3-2. 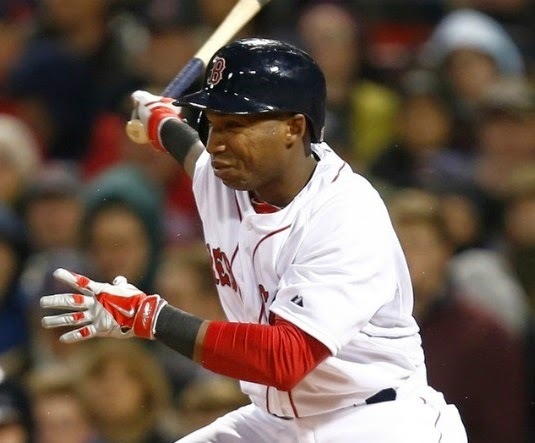 Trailing by a run in the bottom of the 9th inning, weak-hitting utility infielder Jonathan Herrera came to the plate with one out, playing second base due to Dustin Pedroia's hand injury. Herrera struck out looking. Jonny Gomes (who's literally about ten times more likely to hit a game-tying home run than Herrera, who has a total of 8 in 1006 career at-bats) was available, but John Farrell neglected to pinch-hit with him because there wasn't anybody else who could've played second base should the game go to extra innings. You see this in baseball all the time, and it makes absolutely no sense to me. Is there a chance you might lose the game in extras because Gomes or somebody else is playing out of position at second? Yes, but I guarantee it's less than the 100% odds of losing if you never even tie it up in the first place. I'd really like to see an MLB manager just disregard defense completely when it comes to pinch-hitting in situations like this. Maybe his team would drop a game or two because of it, but I bet in the long run they'd win more. Plus, it would make things much more exciting from a fan perspective; who wouldn't love to see what happens if Gomes is forced to field a ball at second base? And considering there were about 17 people at the Sox vs. Sox game in Chicago last night (officially 13,402, 33% capacity of U.S. Cellular Field, but if you saw on TV it was obviously nowhere near that), more excitement seems like a good thing. 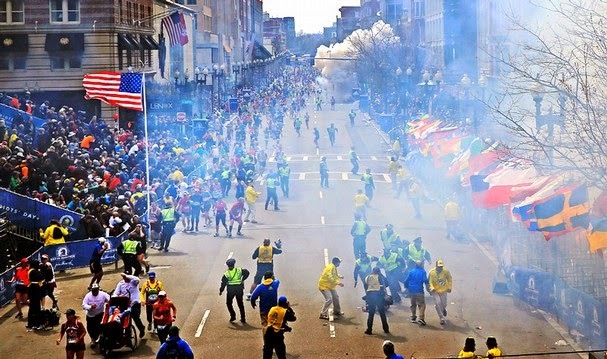 Will the date 'April 15th' now have September 11th-like connotations in Boston? The Marathon will forever be different from now on, that I already knew. But as it always falls on a Monday, the date changes year to year. It hadn't occurred to me that the 4/15 anniversary would also be a day of significance to remember. April 15th is Jackie Robinson Day in the sports world (67 years ago today he played his first game). It's income tax day as well. It also happens to be my birthday. None of these will be quite the same going forward. Here's my record of the events as they transpired last April 15-19 (scroll down to the bottom of the page first to read them in chronological order, it's worth it), and David Ortiz's iconic address to the Fenway crowd on Sunday, 4/21/13. Recorded in 1998 and a hit in '99, Why Don't You Get a Job is borderline old; but hey, at least it's from the last millennium. However, the things that inspired me to chose it are in fact much older. The Offspring's track is basically a combination of two other songs -- a little bit of Simon and Garfunkel's Cecelia (from 1970), and a whole lot of the Beatles Obla Di, Obla Da (from 1968). To the dismay of many Boston fans, after dropping 14 of their previous 15, the Celtics have now emerged victorious in each of their last two contests. The C's first winning streak in over a month has dramatically hurt their chances of receiving a top 5 pick in the draft, as they're now tied with the Lakers for the 5th fewest wins (25) in the NBA with just two games remaining (including one more date with the pathetic 76ers). 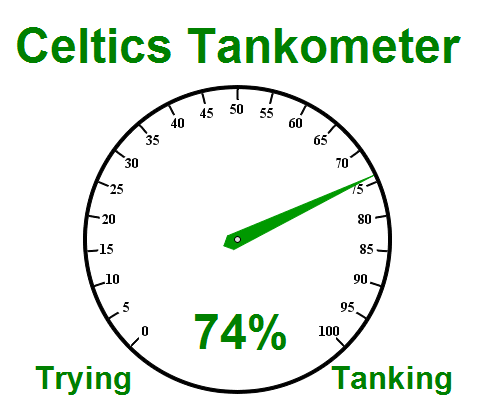 "The job of the Celtics "Tankometer" is to measure my perceived level of how hard they (and by they I mean the players, coaches, and front office combined) are trying to win games." In Friday night's victory Boston had some very questionable late-game clock management and shot selection. On Saturday they won with only eight players available; Rajon Rondo, Jared Sullinger, Jerryd Bayless and Kris Humphries were all held out of action for various insignificant injuries. Rondo actually sat out both wins with a bruised shin. Boston is 6-29 in games Rondo has played in this year (a .171 winning percentage that would be the worst in the league over the full season), and 19-26 without him (.422). I'm not going to panic or overreact to this, but it's definitely concerning.